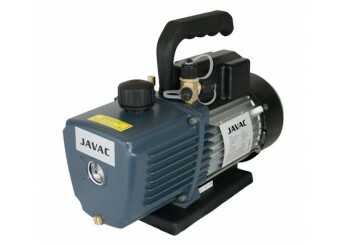 An economy vacuum pump from Javac, the 2-stage CC-141 has a pumping speed of 150 litres per min (5.3 CFM) and an ultimate vaccum of 15 microns. An economy 2-stage oil sealed vacuum pump with an ultimate vacuum of 15 microns. This vacuum pump features an oil de-mister to reduce oil spillage and comes with a tri-connector suitable for 1/4 SAE, 3/8 SAE and 1/2 ACME. 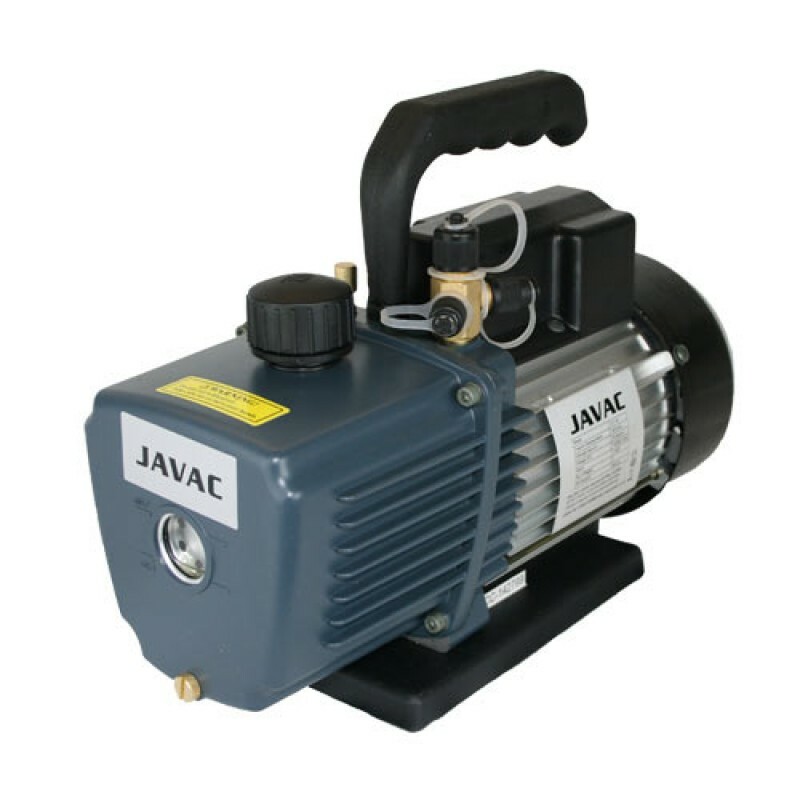 Available in a wide range of capacities, Javac's economy vacuum pumps are ideal for low duty applications such as automotive or commercial air conditioning service.